Our beautiful spacious Deluxe One Bedroom Units offer a comfortable Queen Bed in the Bedroom and a further Single Bed in the Lounge. 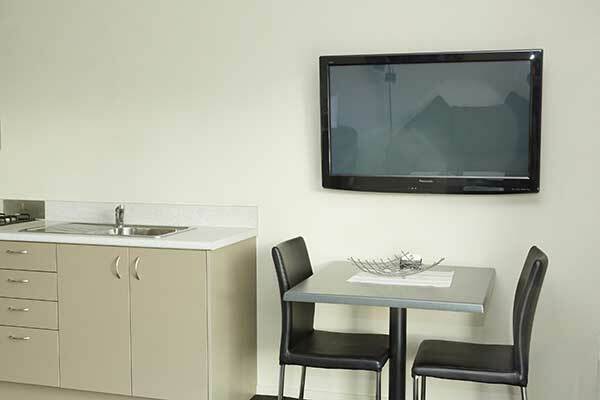 These rooms also offer 42” Plasma TV’s, modern kitchen facilities, couch, table & chairs and great high pressured showers. Treat yourself to a little extra comfort! 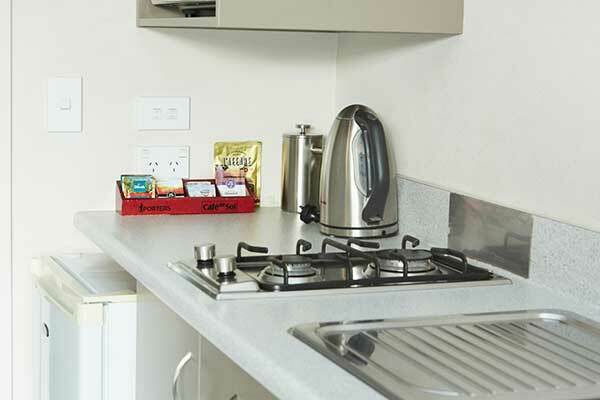 When staying 2 nights or more in a One Bedroom Deluxe Unit you will receive a FREE Continental Breakfast for 2 people for each morning of your stay. 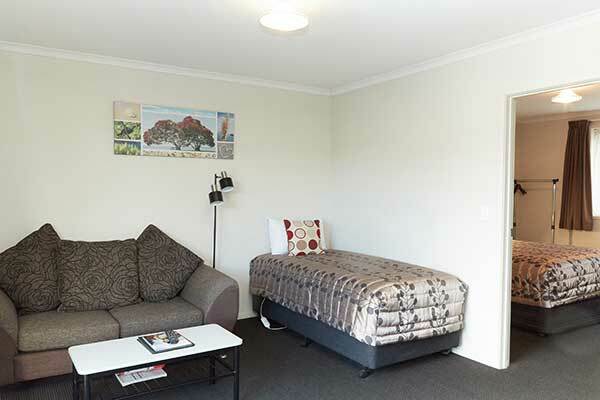 (This offer is only valid for reservations made direct via this website for a One Bedroom Deluxe Unit, for a minimum of 2 nights or more consecutively and is for 2 people only).